Created to not only keep your clothes impeccably clean but keep your energy bills down to the Bosch WAB28161GB 6kg load washing machine has an incredible A+++ energy rating that means you're able to wash more and worry less. Working with an incredible 1400 rpm the WAB28161GB helps you in times when you're in a rush; the Bosch WAB28161GB has a speed perfect feature that shortens your cycles by up to 40% meaning that you're never short of time for doing what you love. Boasting a 6kg capacity drum you'll be able to fit in an average size load with no problems and the 1400 rpm spin speed ensures that your washing will come out of the machine with little drying to do. 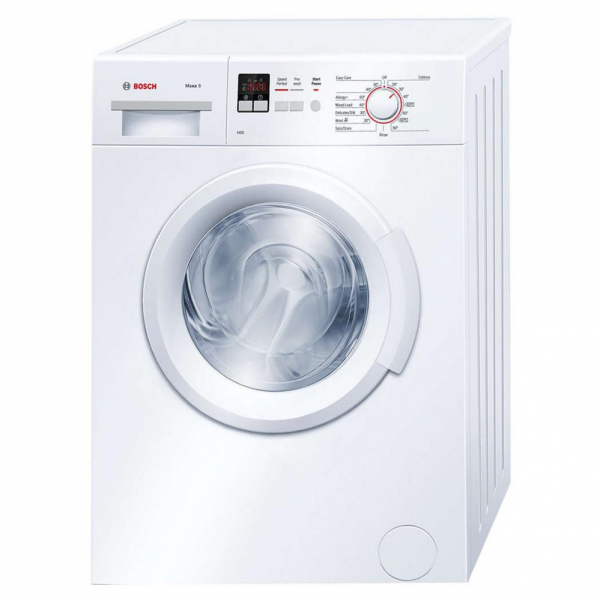 Built with a multitude of features included the Bosch WAB28161GB even has a Delay Start system which allows you to start your washing so it's ready when you get home, or even in the night time when your bills and energy tariffs might even be cheaper!